With its central location, Duc Tuan Hotel is within easy reach of most tourist attractions and business addresses in Cat Ba Island. 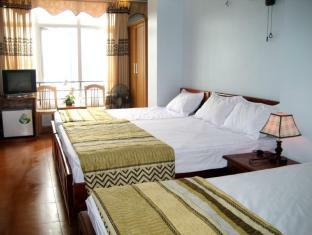 The Duc Tuan Hotel boasts a convenient location with modern amenities in every guestroom and superb service. 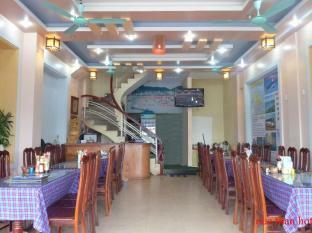 Each guestroom is fully equipped with air conditioning, desk, hair dryer, internet access, in room safe, television. This Cat Ba Island accommodation features on-site facilities such as 24hr room service, laundry service/dry cleaning, restaurant, concierge. Modern comfort and convenience are seamlessly combined to ensure the guests' satisfaction. This hotel is characterized by a combination of modern comfort and traditional element of Cat Ba Island, making it a distinct accommodation. For your reservation at the Duc Tuan Hotel Cat Ba Island, please select your dates of stay and fill in our secure online reservation form.